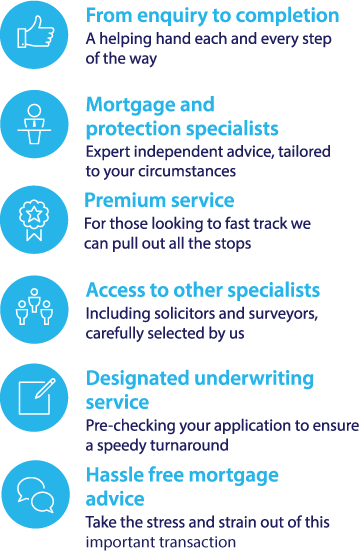 To investigate your mortgage options if you are a company director call our specialist mortgage team on 0117 313 7780 or fill in our callback request form. A mortgage is a loan which is secured against your home. When you take out a mortgage, you enter into an agreement to pay the loan back, with interest, over a period of time agreed with your lender. Therefore, lenders are very careful about whom they offer this level of lending to, and if you are not traditionally employed - for example, if you are the director of a company – it can sometimes be difficult to prove your overall income to a prospective mortgage lender. Looking for a mortgage as a company director can be difficult because you are in a fairly non-standard financial position compared to many mortgage applicants. You may well have more capital than the normal purchaser available to you, but this cash may come erratically rather than on a regular basis, which can prove a problem when asked to demonstrate your income. Some director reimbursement strategies are structured around a lower standard salary which is topped up with high dividends and stakes in the company. Therefore, when you approach a lender with your base salary, it is unlikely that this reflects your true income. Additionally, because company directors may not receive a steady monthly income in the manner of traditionally employed people, some mortgage lenders can be wary of lending mortgages to company directors. If you approach a standard mortgage lender for a mortgage, they will request three years of records to demonstrate your income. Most mortgage lenders will assess your potential to repay the mortgage amount you are asking for by looking at your salary. However they will not always other factors such as net profits into account, which can make getting the mortgage you want difficult if you don’t go to a specialist mortgage provider. Fortunately there are now specialist mortgage lenders on the market that offer a bespoke mortgage service that recognises the needs of company directors who are seeking a mortgage deal. Mortgage applications for directors usually need to be assessed in an alternative way to customary mortgage applications. A director mortgage application considers different elements, including your stake in the organisation and the dividends you get. A director mortgage application is usually evaluated on a case by case premise, taking into account a mix of elements which may include your salary, shares held in the company, the performance record of the company, and your average total earnings over the past few years. Our dedicated whole of market mortgage team can help you to locate the right mortgage deal to suit your needs. To find the best company director mortgage deals for you – call us today on 0117 313 7780 or click here » to request a callback.